Il Rumore Bianco (White Noise) are a six-piece hailing from the historic Italian city of Verona, where they were born from the ashes of another project called Side C (who released two EPs between 2009 and 2011 before disbanding). In the summer of 2012, former Side C members Michele Zanotti, Thomas Pessina and Alessandro Danzi got together with the intention of forming a new band with a more eclectic, “progressive” direction, and recruited vocalist Eddy Fiorio, guitarist Federico Lonardi and drummer Umberto Sartorii – all dedicated musicians with extensive experience in spite of their young age. The band’s recording debut, a 4-track EP by the title of Mediocrazia, was released at the end of November 2013. Though Il Rumore Bianco claim to have been inspired, first and foremost, by progressive rock’s classic era, Mediocrazia eschews the overtly retro sound of many recent releases. The typically grandiose, symphonic approach of many Italian prog bands is only marginally touched upon, leaving the stage to a wide range of sources of inspiration that, in some case, are tangential to prog – such as electronics and jazz, as well as Italian-style alternative rock. The different backgrounds of the band members are brought together to create a tight yet varied musical texture that supports thought-provoking lyrics dealing with the overwhelming presence of the media in modern society, and the resulting pervasive mediocrity that stifles the aspirations of genuinely creative people. The EP is bookended by a two-part suite titled “Tutto un sogno”. The energetic, organ-drenched first part often hints at Deep Purple, though Eddy Fiorio’s voice – following the line of the music like an additional instrument instead of dominating it (as it often happens in Italian prog) – evokes a modern-day Demetrio Stratos; the song culminates in an exhilarating guitar solo backed by deep, rumbling organ. On the other hand, “Il vestito buono” combines an elusive vintage flavour with a more modern allure; organ, mellotron and ambient-tinged synth washes provide a lush tapestry for Fiorio’s expressive vocals and Lonardi’s multifaceted guitar, and an engagingly warm sense of melody balances the surges of intensity. The influence of Area looms large over the sleek jazz-rock romp of “Il primo attore”, where Fiorio deploys all the power and versatility of his impressive pipes, and Alessandro Danzi’s bass throws a generous pinch of funky spice in the heady stew of elegantly sharp guitar, blaring sax and jaunty electric piano. The 9-minute second part of “Tutto un sogno” wraps up the album in style, though avoiding the excesses of the stereotypical “epic” – its atmospheric, muted intro gradually building up to a veritable explosion of sound in which all the instruments seem to strive for primacy, then slowly winding down to a spacey, slo-mo finale. The use of the inherently musical Italian language and the innate flair for a good melody possessed by seemingly all Italian musicians imbues Mediocrazia with that sense of Mediterranean warmth that surfaces in the work of the otherwise edgy Area, as well as later outfits such as Deus ex Machina, D.F.A. (incidentally, also from Verona) or Accordo dei Contrari. All in all, in spite of its short running time, this is a surprisingly mature debut – with very few, if any, rough edges, and a very promising display of songwriting skills. Those who prefer their prog on the modern side, but are not averse to the presence of distinguishing elements of the classic Seventies style, will not fail to be intrigued by Mediocrazia – which is highly recommended to fans of the thriving, variegated Italian prog scene. As the title of this post suggests, 2013 was another bumper year for progressive music – perhaps without as many peaks of excellence as the two previous years, but still offering a wide range of high-quality releases to the discerning listener. On the other hand, it was also a year in which the need for some form of quality control emerged quite sharply. The sheer number of releases that might be gathered under the “prog” umbrella made listening to everything a practically impossible feat – unless one wanted to risk some serious burnout. As modern technology has afforded the tools to release their own music to almost anyone, it has also fostered a sense of entitlement in some artists as regards positive feedback, even when their product is clearly not up to scratch. 2013 also evidenced the growing divide within the elusive “prog community”, with the lingering worship of anything Seventies-related in often sharp contrast with the genuine progressive spirit of many artists who delve deep into musical modes of expression of a different nature from those that inspired the golden age of the genre. While, on a global level, 2013 was fraught with as many difficulties as 2012, personally speaking (with the exception of the last two or three months) the year as a whole was definitely more favourable – which should have encouraged me to write much more than I actually did. Unfortunately, a severe form of burnout forced me into semi-retirement in the first few months of the year, occasionally leading me to believe that I would never write a review ever again. Because of that, I reviewed only a small percentage of the albums released during the past 12 months; however, thanks to invaluable resources such as Progstreaming, Progify and Bandcamp, I was able to listen to a great deal of new music, and form an opinion on many of the year’s highlights. I apologize beforehand to my readers if there will be some glaring omissions in this essay. As usual, my personal choices will probably diverge from the “mainstream” of the prog audience, though I am sure they will resonate with others. This year I have chosen to use a slightly different format than in the previous two years, giving more or less the same relevance to all the albums mentioned in the following paragraphs. Those who enjoy reading “top 10/50/100” lists will be better served by other websites or magazines: my intent here is to provide an overview of what I found to be worthy of note in the past 12 months, rather than rank my choices in order of preference. Interestingly, two of my top 2013 albums (both released at the end of January) came from the UK – a country that, in spite of its glorious past, nowadays rarely produces music that sets my world on fire. Although the magnificent Gothic cathedral of Guapo’s History of the Visitation and the lyricism and subtle complexity of Thieves’ Kitchen’s One for Sorrow, Two for Joy may sound wildly different, they both represent a side of the British progressive rock scene where the production of challenging music is still viewed as viable, and image-related concerns are a very low priority. Indeed, in 2013 the UK was prodigal with interesting releases for every prog taste. Among the more left-field offerings coming from the other side of the pond, I will mention Sanguine Hum’s multilayered sophomore effort, The Weight of the World – one of those rare albums that are impossible to label; Godsticks’ intricate, hard-hitting The Envisage Conundrum; the unique “classical crossover” of Karda Estra’s Mondo Profondo; The Fierce and the Dead’s fast and furious Spooky Action (think King Crimson meets punk rock); Tim Bowness’ Henry Fool with Men Singing, their second album after a 12-year hiatus; and Brighton-based outfit Baron (who share members with Diagonal and Autumn Chorus) with their haunting Columns. A mention is also amply deserved by volcanic multi-instrumentalist Colin Robinson’s projects Jumble Hole Clough and Churn Milk Joan – whose numerous albums are all available on Bandcamp. The prize for the most authentically progressive UK release of the year, however, should probably be awarded to Chrome Black Gold by “experimental chamber rock orchestra” Chrome Hoof, who are part of the Cuneiform Records roster and share members with their label mates Guapo. The US scene inaugurated the year with the late January release of Herd of Instinct’s second album, Conjure, a completely instrumental effort that saw the basic trio augmented by Djam Karet’s Gayle Ellett on keyboards fleshing out the band’s haunting, cinematic sound. Ellett’s main gig (who will be celebrating their 30th anniversary in 2014) also made their studio comeback with The Trip, featuring a single 47-minute track combining ambient, electronics-laden atmospheres (as per self-explanatory title) with a full-tilt psychedelic rock jam. Later in the year, Little Atlas’ solid Automatic Day and Sonus Umbra’s brooding Winter Soulstice brought back two bands that had long been out of the limelight. From the US also came a few gems that, unfortunately, have almost flown under the radar of the prog fandom, such as The Knells’ eponymous debut with its heady blend of post-rock, classical music and polyphony; Jack O’The Clock’s intriguing American folk/RIO crossover All My Friends; Birds and Buildings’ über-eclectic Multipurpose Trap; The Red Masque’s intensely Gothic Mythalogue; and the ambitious modern prog epic of And The Traveler’s The Road, The Reason. The fall season brought some more left-field fireworks from the ever-reliable AltrOck Productions and Cuneiform Records. miRthkon’s Snack(s) and Zevious’ Passing Through the Wall, both outstanding examples of high-energy modern progressive rock by two veritable forces of nature in a live setting, were preceded by Miriodor’s long-awaited eighth studio album, Cobra Fakir, premiered at ProgDay in an utterly flawless set. More RIO/Avant goodness came from Europe with Humble Grumble’s delightfully weird Guzzle It Up, Rhùn’s Zeuhl workout Ïh, October Equus’s darkly beautiful Permafrost, and Spaltklang’s unpredictable In Between. From Sweden came Necromonkey’s self-titled debut, an idiosyncratic but fascinating effort born of the collaboration between drummer extraordinaire Mattias Olsson and Gösta Berlings Saga keyboardist David Lundberg. Among the myriad of prog-metal releases of the year, another UK band, Haken, stood head and shoulders above the competition: their third album The Mountain transcended the limitations of the subgenre, and drew positive feedback even from people who would ordinarily shun anything bearing a prog-metal tag. Much of the same considerations might apply to Kayo Dot’s highly anticipated Hubardo, though the latter album is definitely much less accessible and unlikely to appeal to more traditional-minded listeners. Fans of old-fashioned rock operas found a lot to appreciate in Circle of Illusion’s debut, Jeremias: Foreshadow of Forgotten Realms, a monumentally ambitious, yet surprisingly listenable album in the tradition of Ayreon’s sprawling epics, rated by many much more highly than the latter’s rather lacklustre The Theory of Everything. Some of the year’s most intriguing releases came from countries that are rarely featured on the prog map. One of my personal top 10 albums, Not That City by Belarus’ Five-Storey Ensemble (one of two bands born from the split of Rational Diet) is a sublime slice of chamber-prog that shares more with classical music than with rock. Five-Storey Ensemble’s Vitaly Appow also appears on the deeply erudite, eclectic pastiche of fellow Belarusians (and AltrOck Productions label mates) The Worm Ouroboros’ Of Things That Never Were. The exhilarating jazz-rock-meets-Eastern-European-folk brew provided by Norwegian quintet Farmers’ Market’s fifth studio album, Slav to the Rhythm, was another of the year’s highlights, guaranteed to please fans of eclectic progressive music. From an even more exotic locale, Uzbekistan’s own Fromuz regaled their many fans with the dramatic Sodom and Gomorrah, a recording dating back from 2008 and featuring the band’s original lineup. In the jazz-rock realm, releases ran the gamut from modern, high-adrenalin efforts such as The Aristocrats’ Culture Clash, Volto!’s Incitare by (featuring Tool’s drummer Danny Carey), and keyboardist Alessandro Bertoni’s debut Keystone (produced by Derek Sherinian) to the multifaceted approach of French outfit La Théorie des Cordes’ ambitious, all-instrumental double CD Singes Eléctriques, the sprawling, ambient-tinged improv of Shrunken Head Shop’s Live in Germany, and the hauntingly emotional beauty of Blue Cranes’ Swim. Trance Lucid’s elegantly eclectic Palace of Ether and the intricate acoustic webs of Might Could’s Relics from the Wasteland can also be warmly recommended to fans of guitar-driven, jazz-inflected instrumental music. Leonardo Pavkovic’s Moonjune Records, however, proved throughout the year as the most reliable single provider of high-quality music effortlessly straddling the rock and the jazz universe, with the triumphant comeback of Soft Machine Legacy and their superb Burden of Proof, The Wrong Object’s stunning slice of modern Canterbury, After the Exhibition, and Marbin’s sophisticated (if occasionally a a bit too “easy”) Last Chapter of Dreaming. Pavkovic’s frequent forays into the booming Indonesian scene brought masterpieces such as simakDialog’s fascinating, East-meets-West The 6th Story, and I Know You Well Miss Clara’s stylish Chapter One – as well as Dewa Budjana’s ebullient six-string exertions in Joged Kahyangan. Dialeto’s contemporary take on the power trio, The Last Tribe, and Dusan Jevtovic’s high-octane Am I Walking Wrong? also featured some noteworthy examples of modern guitar playing with plenty of energy and emotion. Song-based yet challenging progressive rock was well represented in 2013 by the likes of Half Past Four’s second album, the amazingly accomplished Good Things, propelled by lead vocalist Kyree Vibrant’s career-defining performance; fellow Canadians The Rebel Wheel’s spiky, digital-only concept album Whore’s Breakfast; Simon McKechnie’s sophisticated, literate debut Clocks and Dark Clouds; and newcomers Fractal Mirror with their moody, New Wave-influenced Strange Attractors. New Jersey’s 3RDegree also released a remastered, digital-only version of their second album, Human Interest Story (originally released in 1996). Iranian band Mavara’s first international release, Season of Salvation, also deserves a mention on account of the band’s struggles to carve out a new life in the US, away from the many troubles of their home country. Even more so than in the past few years, many of 2013’s gems hailed from my home country of Italy, bearing witness to the endless stream of creativity of a scene that no economic downturn can dampen. One of the most impressive debut albums of the past few years came from a young Rome-based band by the name of Ingranaggi della Valle, whose barnstorming In Hoc Signo told the story of the Crusades through plenty of exciting modern jazz-rock chops, without a hint of the cheesiness usually associated with such ventures. Another stunning debut, the wonderfully quirky Limiti all’eguaglianza della parte con il tutto by Sicilian outfit Homunculus Res, delighted fans of the Canterbury scene; while Not A Good Sign’s eponymous debut blended the angular, King Crimson-inspired melancholia of Änglagård and Anekdoten with that uniquely Italian melodic flair. After their successful NEARfest appearance in 2012, Il Tempio delle Clessidre made their comeback with AlieNatura, an outstanding example of modern symphonic prog recorded with new vocalist Francesco Ciapica; while fellow Genoese quintet La Coscienza di Zeno made many a Top 10 list with their supremely accomplished sophomore effort, Sensitività. Another highly-rated Genoese outfit, La Maschera di Cera, paid homage to one of the landmark albums of vintage RPI – Le Orme’s Felona and Sorona – by releasing a sequel, titled Le Porte del Domani (The Gates of Tomorrow in its English version). Aldo Tagliapietra’s L’angelo rinchiuso saw the legendary former Le Orme bassist and frontman revert to a more classic prog vein, while iconic one-shot band Museo Rosenbach followed the example of other historic RPI bands and got back together to release Barbarica. Even PFM treated their many fans to a new double album, though scarce on truly new material: as the title implies, PFM in Classic: Da Mozart a Celebration contains versions of iconic classical pieces performed by the band with a full orchestra, as well as five of their best-known songs. Among the newcomers, Camelias Garden’s elegant You Have a Chance presents a streamlined take on melodic symphonic prog, while Unreal City’s La crudeltà di Aprile blends Gothic suggestions with the classic RPI sound; on the other hand, Oxhuitza’s self-titled debut and Pandora’s Alibi Filosofico tap into the progressive metal vein without turning their backs to their Italian heritage. 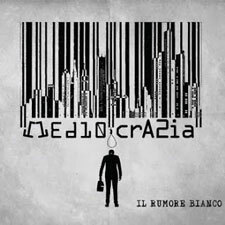 Il Rumore Bianco’s Area-influenced debut EP Mediocrazia brought another promising young band to the attention of prog fans. However, some of the most impressive Italian releases of the year can be found on the avant-garde fringes of the prog spectrum. Besides Francesco Zago’s project Empty Days (featuring contributions by Thinking Plague’s Elaine DiFalco, as well as most of his Yugen bandmates), OTEME’s superb Il giardino disincantato – a unique blend of high-class singer-songwriter music and Avant-Prog complexity – and the sophisticated, atmospheric jazz-rock of Pensiero Nomade’s Imperfette Solitudini deserve to be included in the top albums of the year. To be filed under “difficult but ultimately rewarding” is Claudio Milano’s international project InSonar with the double CD L’enfant et le Ménure, while Nichelodeon’s ambitious Bath Salts (another double CD) will appeal to those who enjoy vocal experimentation in the tradition of Demetrio Stratos. My readers will have noticed a distinct lack of high-profile releases in the previous paragraphs.n Not surprisingly for those who know me, some of the year’s top-rated albums (such as The Tangent’s Le Sacre du Travail, The Flower Kings’ Desolation Rose and Spock’s Beard’s Brief Nocturnes and Dreamless Sleep) are missing from this list because I have not yet had the opportunity to listen to them. 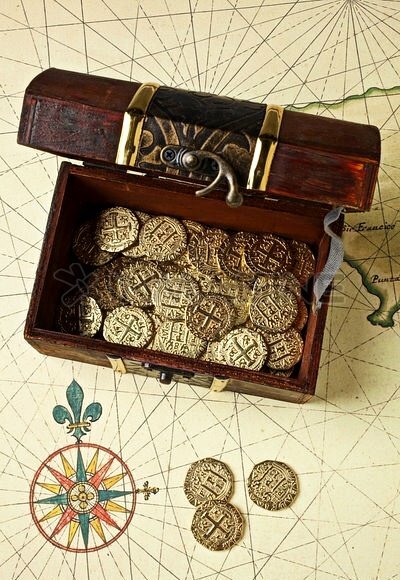 Others have instead been heard, but have not left a positive enough impression to be mentioned here, and I would rather focus on the positives than on what did not click with me. In any case, most of those albums have received their share of rave reviews on many other blogs, websites and print magazines. I will make, however, one exception for Steven Wilson’s much-praised The Raven Who Refused to Sing, as I had the privilege of seeing it performed in its entirety on the stage of the Howard Theatre in Washington DC at the end of April. Though the concert was excellent, and the stellar level of Wilson’s backing band undoubtedly did justice to the material, I am still not completely sold about the album being the undisputed masterpiece many have waxed lyrical about. In addition to successful editions of both ROSfest and ProgDay (which will be celebrating its 20th anniversary in 2014), 2013 saw the birth of two new US festivals: Seaprog (held in Seattle on the last weekend of June) and the NJ Proghouse Homecoming Weekend (held in Dunellen, New Jersey, on October 12-13). As luckily both events enjoyed a good turnout, 2014 editions are already being planned. There were also quite a few memorable concerts held throughout the year, though we did not attend as many as we would have wished. In spite of the often painfully low turnout (unless some big name of the Seventies is involved), it is heartwarming to see that bands still make an effort to bring their music to the stage, where it truly belongs. On a more somber note, the year 2013 brought its share of heartache to the progressive rock community. Alongside the passing of many influential artists (such as Peter Banks, Kevin Ayers and Allen Lanier), in December I found myself mourning the loss of John Orsi and Dave Kulju, two fine US musicians whose work I had the pleasure of reviewing in the past few years. Other members of the community were also affected by grievous personal losses. Once again, even in such difficult moments, music offers comfort to those who remain, and keeps the memory of the departed alive. In my own little corner of the world, music has been essential in giving me a sense of belonging in a country where I will probably never feel completely at home. Even if my enjoyment of music does have its ups and downs, and sometimes it is inevitable to feel overwhelmed by the seemingly never-ending stream of new stuff to check out, I cannot help looking forward to the new musical adventures that 2014 will bring.